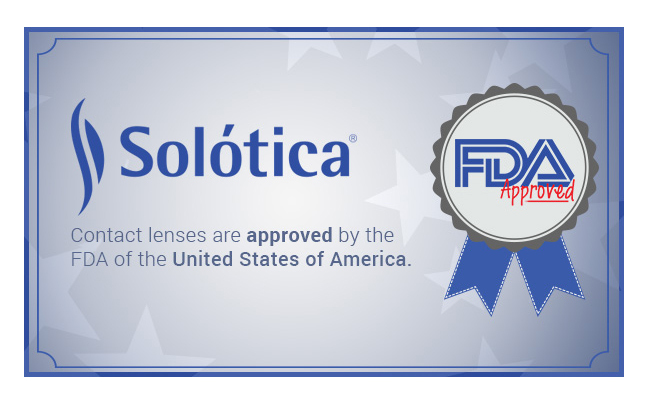 Solotica contact lenses are FDA approved by the United States Food and Drug Administration. Trade/Device Name: Hidrocor, Hidrocharme, and Natural Colors Soft (hydrophilic) Contact Lenses. Regulation Number: 21 CFR 886.5925. Regulation Name: Soft (Hydrophilic) Contact Lens. Lens Comercio de Artigos opticos eireli-me.